...and coming back with a BANG! Welcome to my first post in about a month...ok...I am really sorry that I haven't posted in so long. During the last month/s my life has been jam-packed with revision, work and exams (blah blah blah...student life...blah blah blah). I thought about trying to carry on blogging during the busy exam period, but frankly I didn't want to put out poorly made posts or be inconsistent - so instead I decided to take a break and come back packing a punch! During my break I had time to look over the content in my blog, and to explore ways in which I can make Lily Rose the best it can possibly be! Blogging is a huge passion in my life, and I want to make it super successful. Now summer is finally arriving my life will become much more exciting and fun! The plans for days out with friends and family in the sun is the only thing dragging me through the remaining weeks at Sixth Form - exciting things are on their way so watch this space! I love connecting and interacting with people so I am determined to use social media more. I have accounts on Twitter, Facebook, Snapchat (bloglilyrose), Instagram and Pinterest, and I will be being more active on all of these sites. I have also put in place a little poll in the side bar per month where you can vote on different topics - just for a bit of fun and to understand more about you! 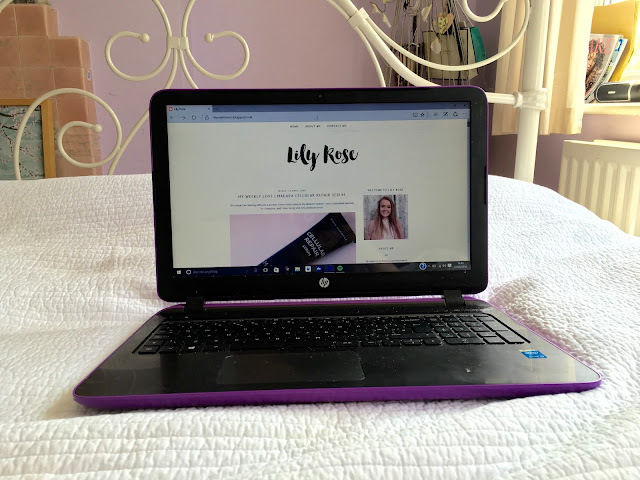 If you haven't already be sure to follow Lily Rose on Bloglovin' or Google+ so that you never miss a post from me! I'm sorry if this post was a bit boring or uninteresting, but I just wanted to share with you where I am with this blog, and to tell you that I am excited for the future!